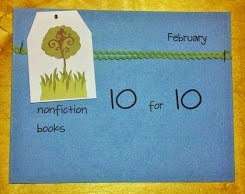 Early in my teaching career a series that was very popular with young readers was the Katie Kazoo, Switcheroo series. The blend of fantasy and realism was fun for kids - what would it be like to switch places with someone? 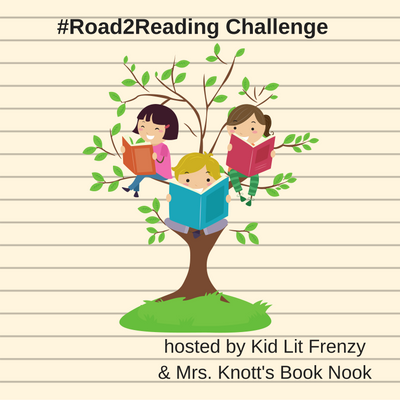 Author Nancy Krulik knew her young audience well and wrote situations that appealed to them. She has written other popular series, such as George Brown, Class Clown and Project Droid. Now she is bringing us a new series that is sure to be a hit with readers. By pleading, and well, whining just a bit, Princess Pulverizer is able to convince her father to send her to Knight School, but not without a condition. She must first go on a quest - a Quest of Kindness. Only after bring brave and doing unselfish acts will her father allow her to attend Knight School. Acts... as in eight. And she must have proof of all eight. Princess Pulverizer is absolutely brave and courageous. She sets off on her journey... she just needs to find someone who needs help. She quickly finds her first quest - the Queen of Shmergermeister's jewels have been stolen, who could have taken them? 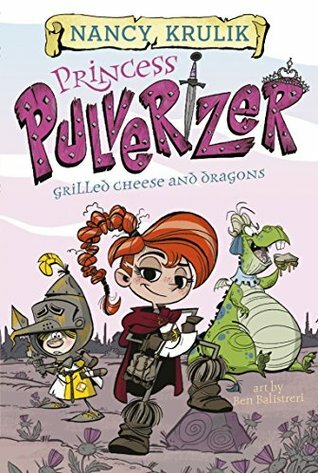 Princess Pulverizer is ready to help and along the way she meets Lucas, a knight in training, and his belching young dragon, Dribble. Together, the three of them learn the power of three is a formidable power! In book two, the trio is off to find Jester the Lester from Salamistonia, who has been kidnapped by the Wizard of Wurst. Can Princess Pulverizer complete her second quest of kindness and return the jester back to Salamistonia where all of the laughter has disappeared? 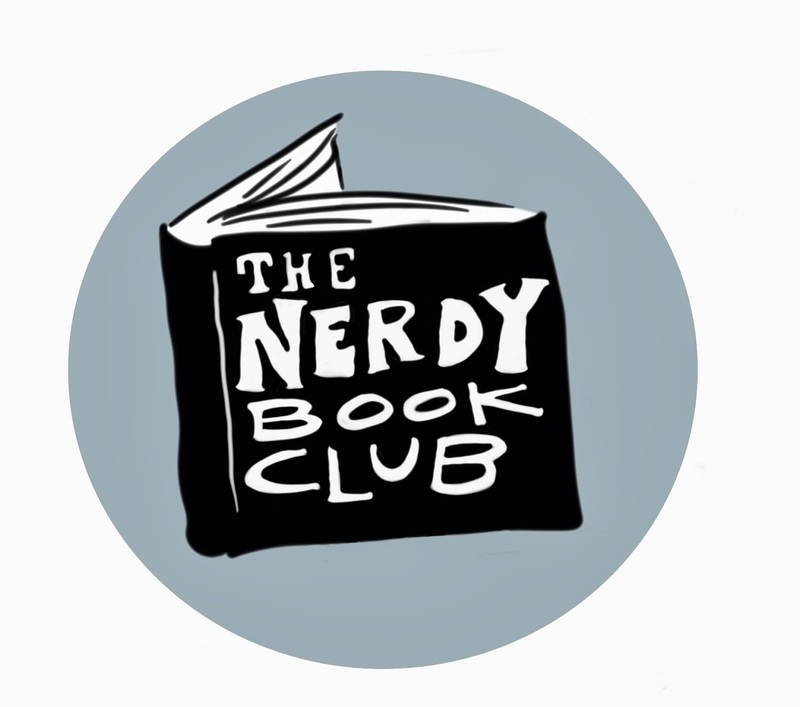 It looks like there will be eight books in the series - one for each quest of kindness. With each book arriving at just over 125 pages, this transitional chapter book will be perfect for second and third graders. Have a striving fourth or a mature first, yup, this series will fit well with them too! With gender-bending roles, I can see all readers enjoying this fantasy series. 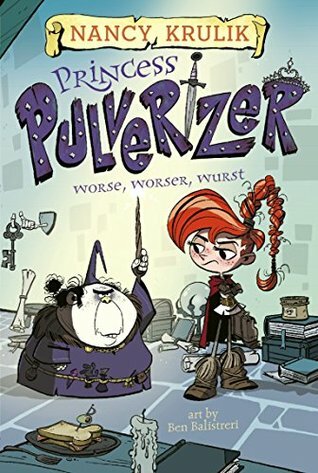 Nancy Krulik has done it again, and I'm sure you'll have students begging for more Princess Pulverizer!